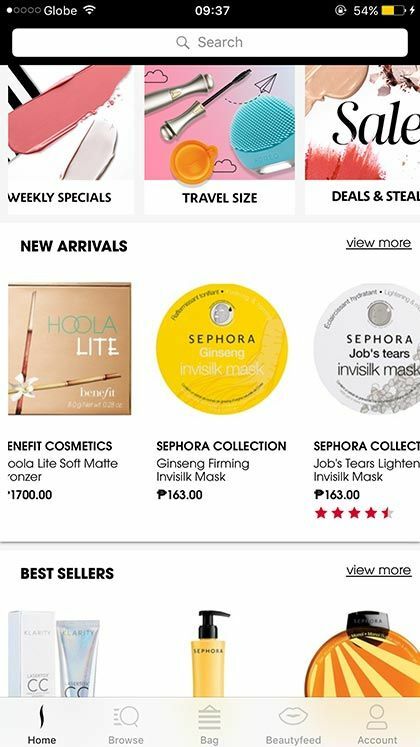 Can we all agree that Sephora coming to the Philippines in 2016 was one of the best gifts a beauty girl could ever ask for? Believe us when we say that it's been a fixture on our browsers since the website launched. 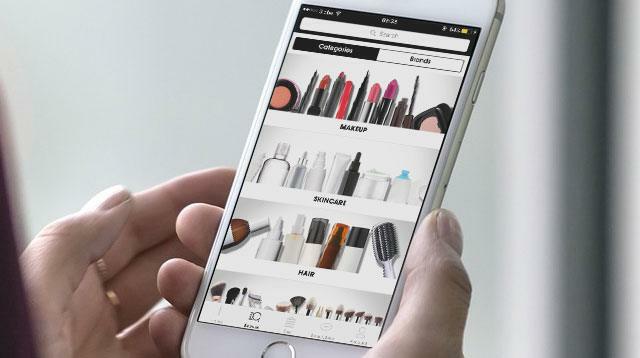 And now, the beauty giant just made shopping even more convenient—with the new Sephora mobile app! *cue the heavenly singing of a thousand angels* Available for download on the App Store and Google Play, the app presents every single thing we love about the website in a simple, straightforward manner. There's no fumbling with tricky controls, because come on, we all just want to get shopping here. 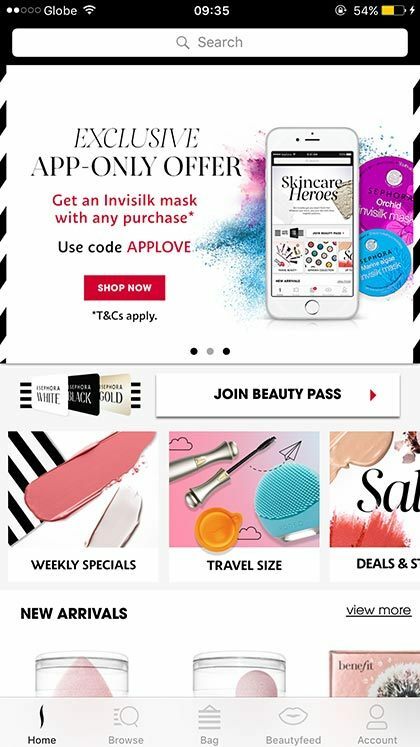 Opening the app shows you Sephora's latest arrivals, best sellers, and exclusive offers (hello, sales! ), which is perfect if you want to go straight to the good stuff. 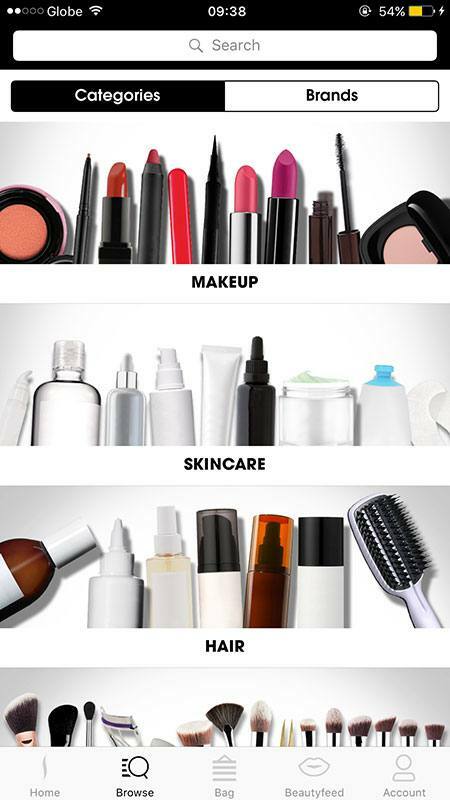 If you, like me, thoroughly enjoy going through every single category, sub-category, and brand, that's possible, too. And once you find some awesome buys, you just need to add them to your shopping bag or tap the heart button to put it on your wish list. 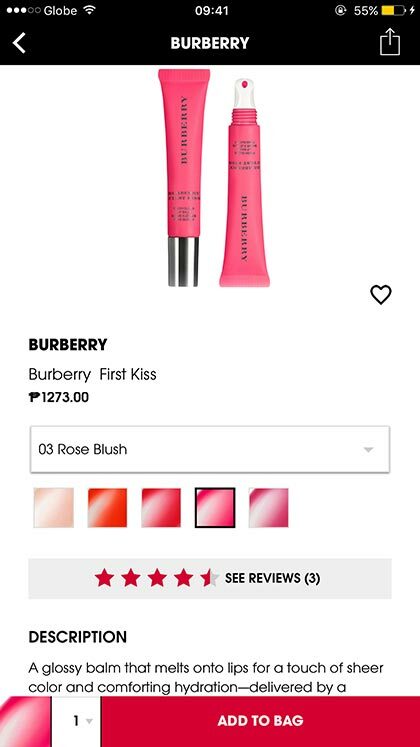 As with the Sephora.ph website, free shipping applies to orders above P1,300. 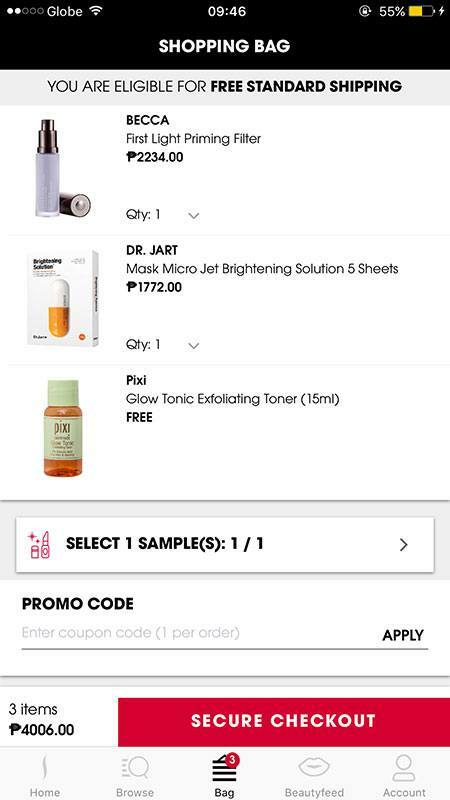 Don't forget to choose a complimentary sample with your purchase! 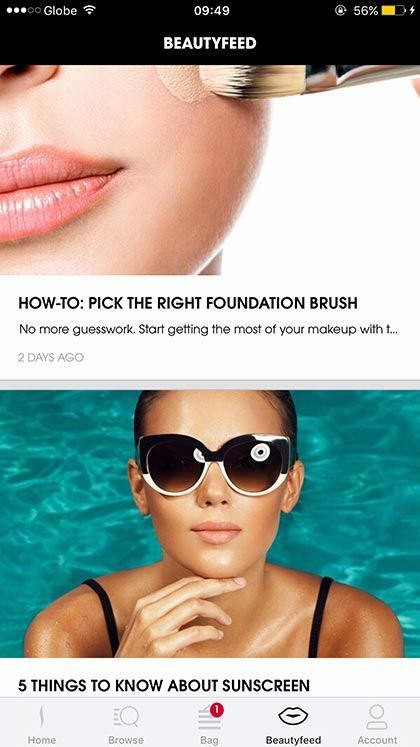 You can also browse Sephora's Beautyfeed through the app. 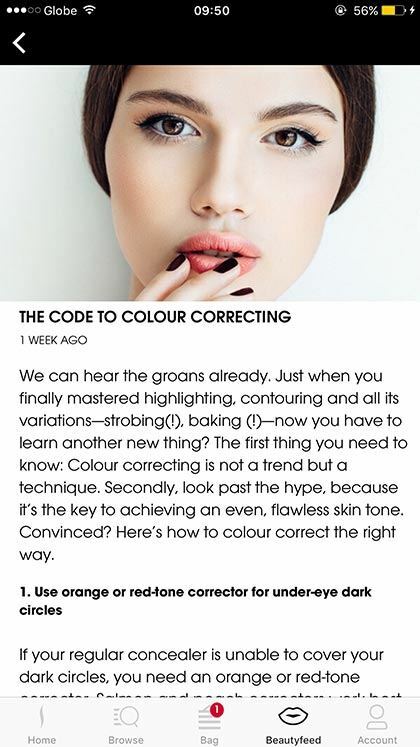 We love these informative bite-sized articles and have definitely learned a thing or two by reading them!